Jordan is a fascinating country rich in tradition yet modern at the same time with Amman as its cosmopolitan capital. A land of several cultures and religions, Jordan is also home to numerous UNESCO world heritage sites such as desert castles, Wadi Rum Valley and Desert and of course, the 2000-year old city of Petra carved in stone that is a must-see for all who visit the region. In addition to its historical and cultural importance, however, Jordan is both an essential hub of diplomacy and is one of the more socially progressive countries of the Arab world. 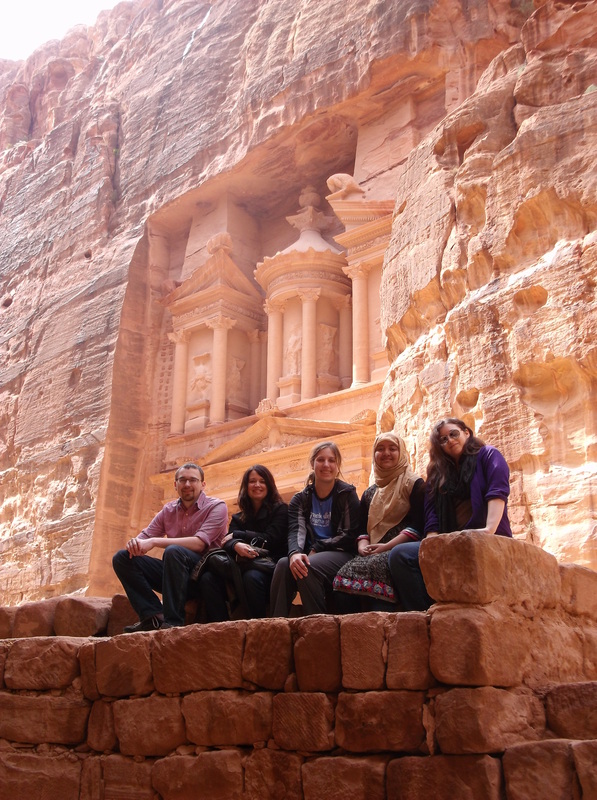 This course will explore Jordan from north to south in all its historic splendor and physical beauty, as well as give the student insights on cultures, history, politics, and gender relations in this unique country. During the course, students will visit the cities of Amman, Jerash, and Madaba, and in conjunction with the University of Jordan, they will have the opportunity to meet with several guest speakers such as Bedouin women activists who promote equality for women in Wadi Rum, diplomatic representatives who work with issues of peace and justice in the region, community leaders, and artists. Students will also visit the University of Jordan’s campus and have a town hall-style meeting with professors and students, coordinated through the Center for Women’s Studies at UJ. With both locals and a specialist of Jordan’s archaeological sites, the course will bring students to the major religious sites in the Dead Sea region and the Roman ruins of Jerash. The class will also have the chance to spend the night in Bedouin tent cities in Wadi Rum and in Petra as residents discuss with students their lifestyle and how it has changed over the last few centuries. The course explores the history of the Nabataean dynasty first hand and how this past impacts Jordan today. This is a course from which students of all majors can benefit as the class goes beyond the typical tourist route to understand Jordan and its people inside and out.